For her 50 States of Handmade series, designer Laurie March shares 12 handmade treasures and their makers, one from each state in the Midwest. 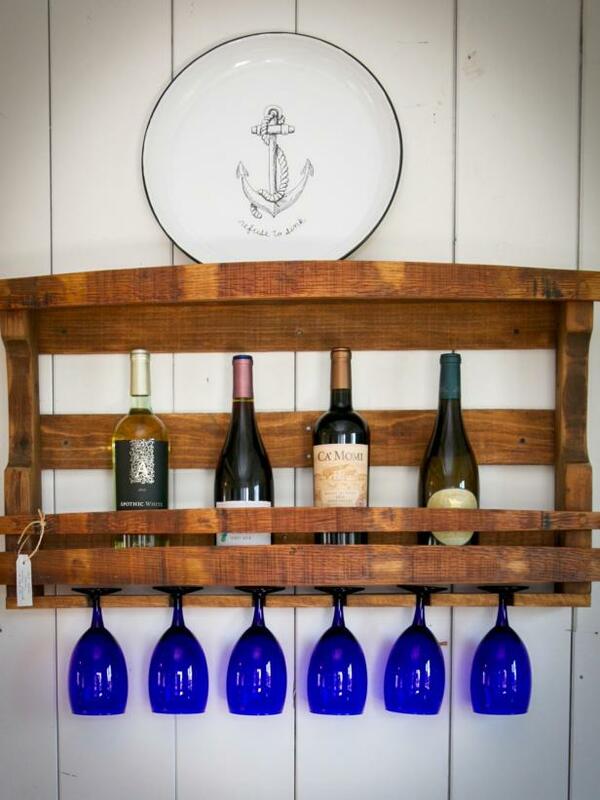 Lisa and Jim Millen started Great Lakes Reclaimed in 2012. 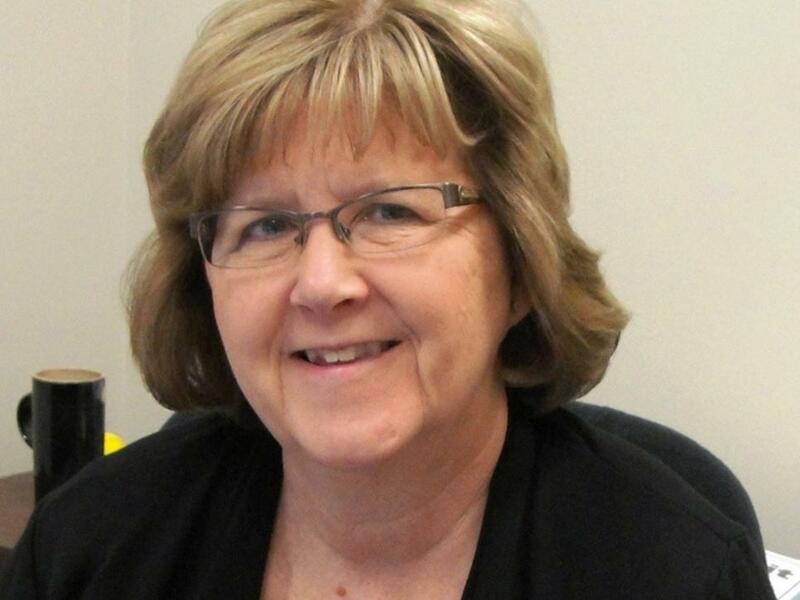 Lisa grew up on the shores of Lake Michigan. Being a builder, Jim had reclaimed lumber from remodel and renovations jobs. 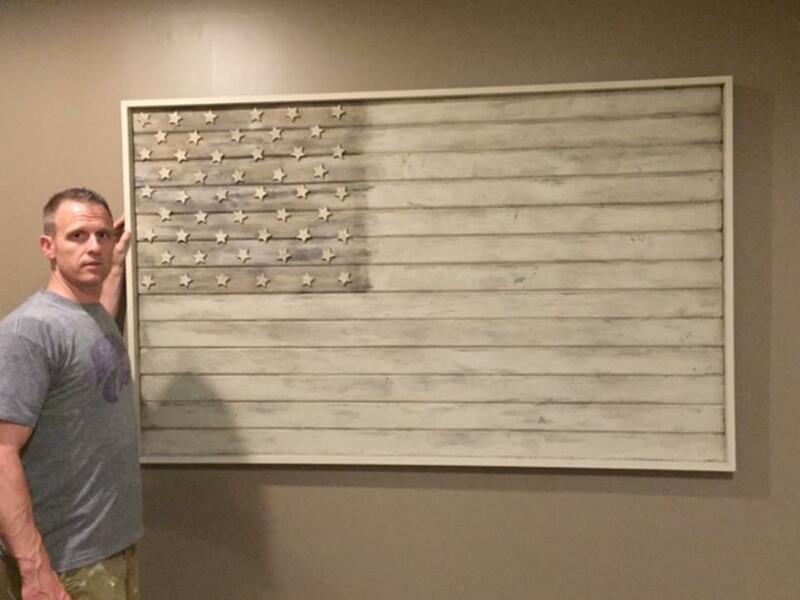 They decided to combine their love for the Great Lakes and reclaimed lumber to create products to sell. With a focus on quality, they moved their wood shop and home base back to Petoskey, Michigan where they enjoy getting back to the waters of the Great Lakes and rekindling old friendships. In 2015, they opened a retail store in Walloon Lake Village. 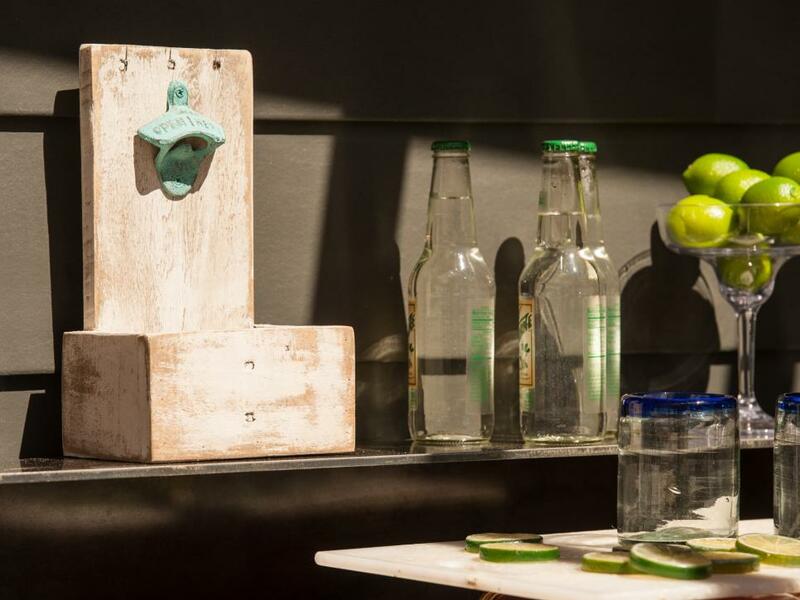 The Millens crafted this quirky barn wood bottle opener and cap catcher for use in the outdoor kitchen of DIY Network's Blog Cabin 2015. Missouri-based Etsy shop, Belles and Ghosts, is focused on emotionally driven concepts, inspired by the things that motivate memories, feelings and nostalgia. Owner MissiSue Hanson’s purpose and mission statement is to inspire others to Be Wild and Wonder™. She began her career as a photographer and eventually grew to include art and design. In a modern take on the constellation Orion, MissiSue Hanson's matte finish art has a subtle texture that suggests a cloudy sky. 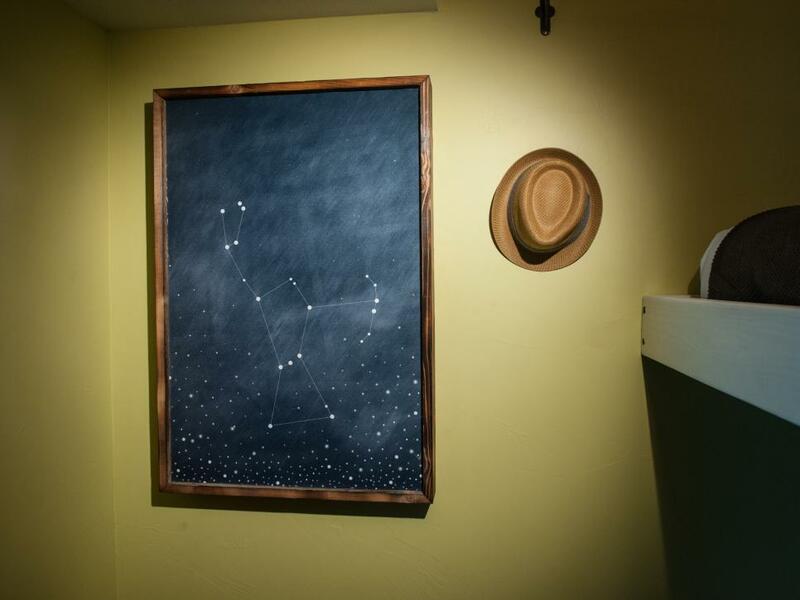 This beautiful piece was handpicked to hang the kids' bunk room of DIY Network's Blog Cabin 2015. Maker Justin Koster learned the craftsman trade from his father. He didn’t start his business, Thirty-Six Degree Designs, until 2008, when Justin and wife Jeannette unexpectedly lost their son, Ethan. The desire to build things became a natural form of therapy. Inspired to do more, their business is built on giving back. They donate a minimum of 5% of their profits to charities that help prevent prematurity and fight childhood cancers. 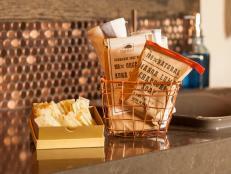 Antiqued to look vintage, Justin Koster's marquee letters offer a subtle glow with a battery operated light kit. 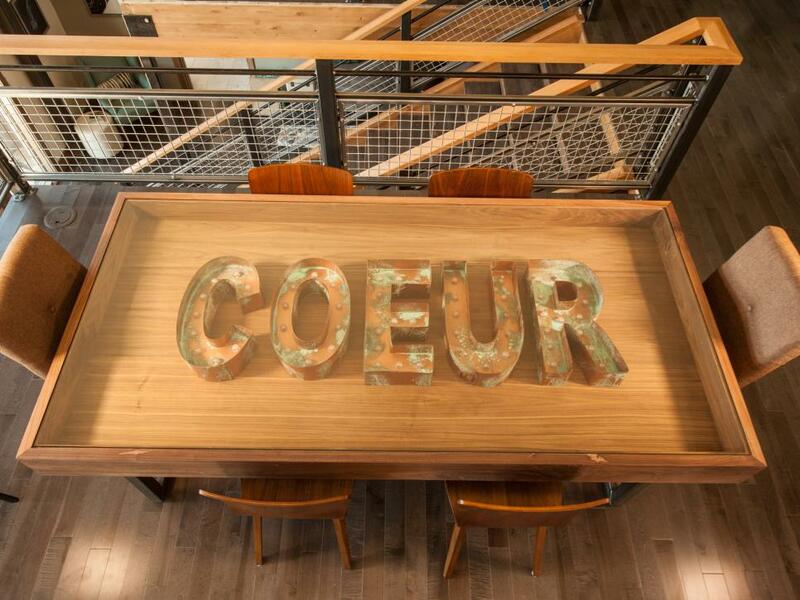 These bold letters were installed in the dining table of DIY Network's Blog Cabin 2015 in Coeur d'Alene, Idaho. Crafter Susan Hank’s Etsy shop, Bijou Kitty, grew out of a passion for sewing and for cute things. When she couldn't find the style of toys she liked, she decided to make them herself. She loves knowing that her creations bring a smile to someone's face and are part of warm, comforting memories for children all over the world. 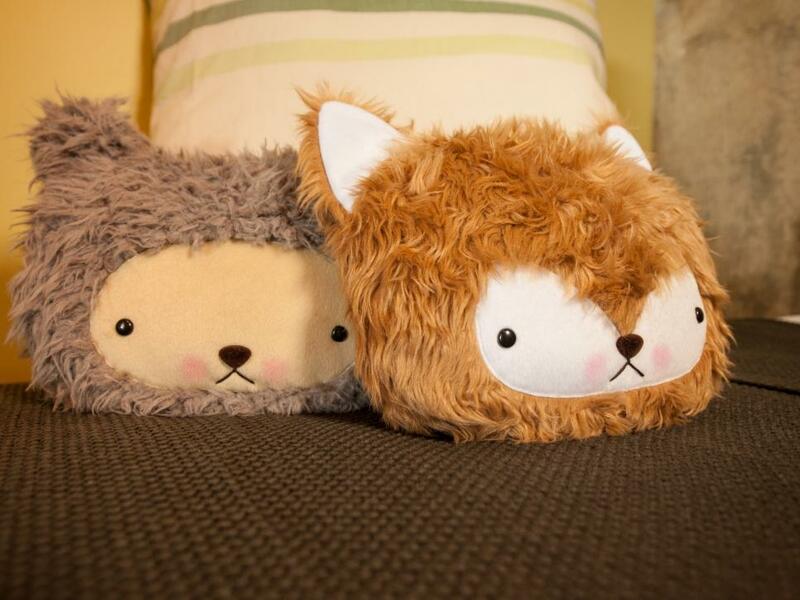 Susan Hank's adorable handmade stuffed animals are inspired by Kawaii creatures and featured in the kids' bunk room of DIY Network's Blog Cabin 2015. With over 30 years of woodworking experience, the goal of family-run business, Haase Handcraft, has always been to provide quality, handcrafted products at reasonable prices. 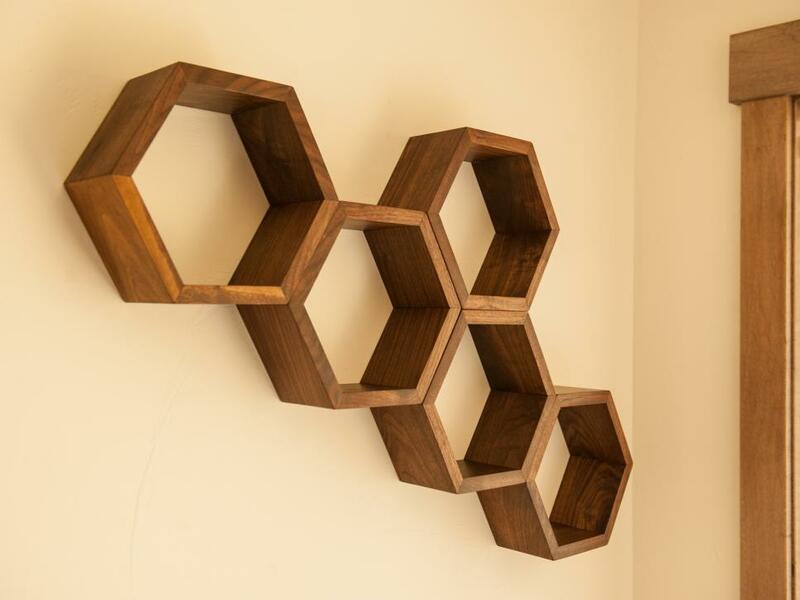 As avid apiarists, the Haase family are inspired to bring the honeycomb shape into their decor and found their niche making hexagon shelves. They are happy to have found something both fun and functional in which to focus their creative energies. 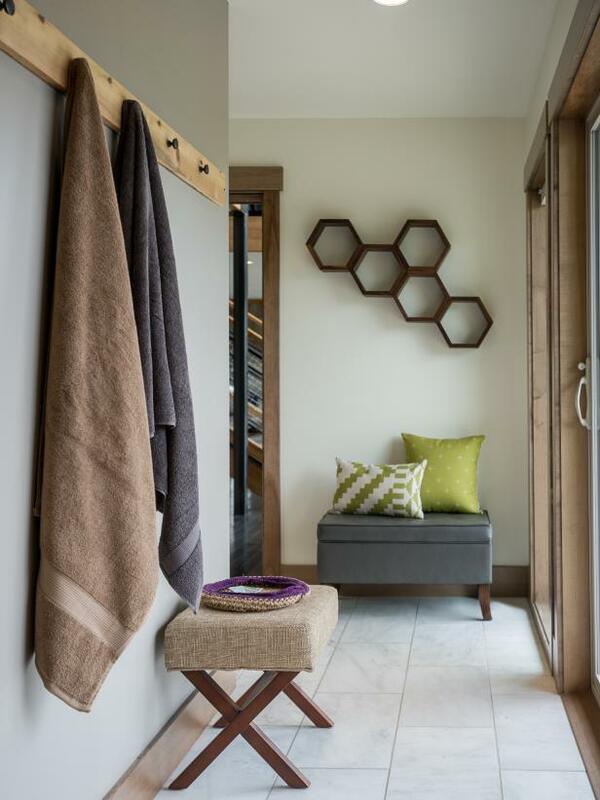 Haase Handcraft created these hexagonal walnut floating shelves for use outside the laundry room of DIY Network's Blog Cabin 2015. 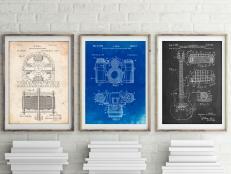 They are hung using small keyholes in the back and can be color-customized for any decor. East Parlor came about as a way to explore the world of Fiber Arts. 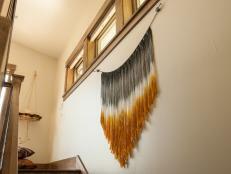 Owner Sarah Parys has always felt the need/connection to create with her hands and weaving provided the perfect outlet. Both her grandmothers' crochet skills were a major influence on her. 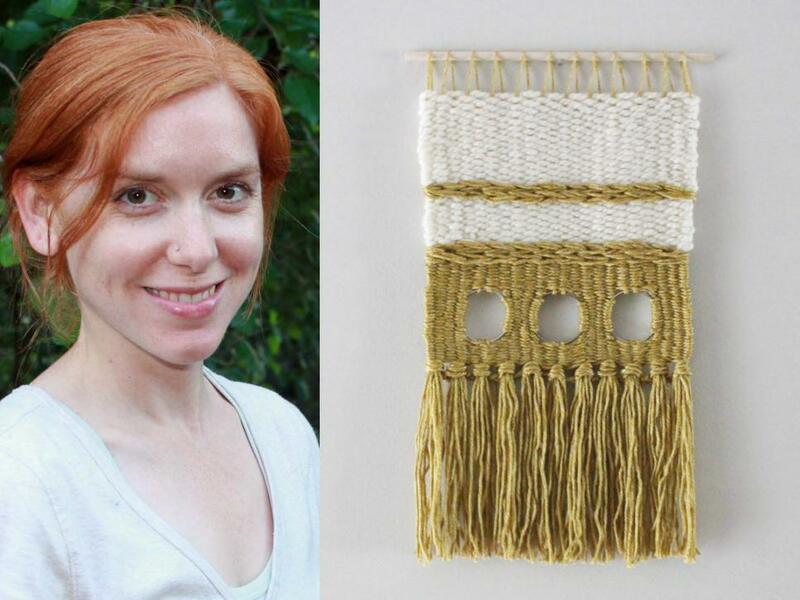 Her work blends the traditional craft of weaving with a modern look for today's home. 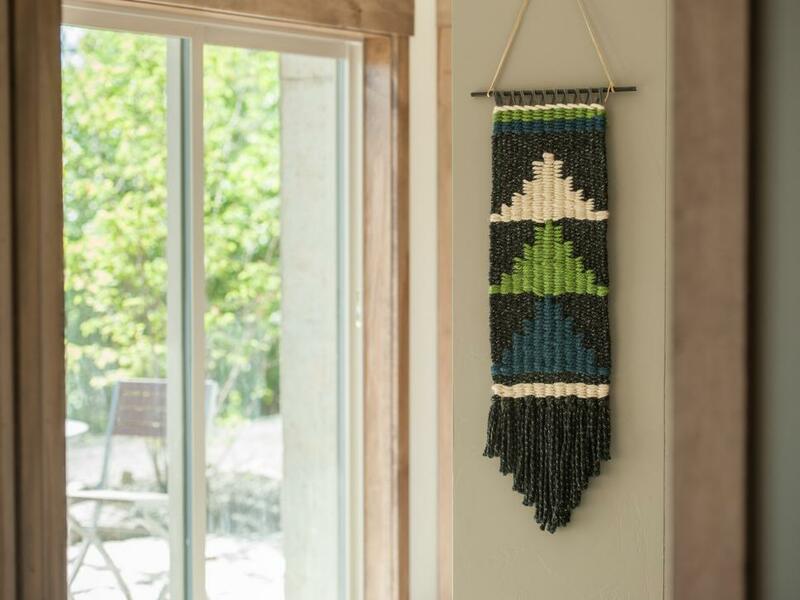 Sarah Parys' gorgeous macramé wall hanging, featured in the laundry room of DIY Network's Blog Cabin 2015, is made of a unique metallic-fleck charcoal yarn. 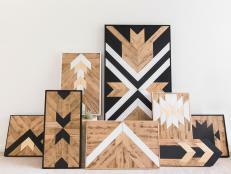 7M Woodworking is a Chicago-based business that uses only reclaimed, recycled, upcycled and refurbished wood. The company re-visits owner Paul Miller’s roots in Ohio—breaking down abandoned barns and using the material to construct masterpieces. 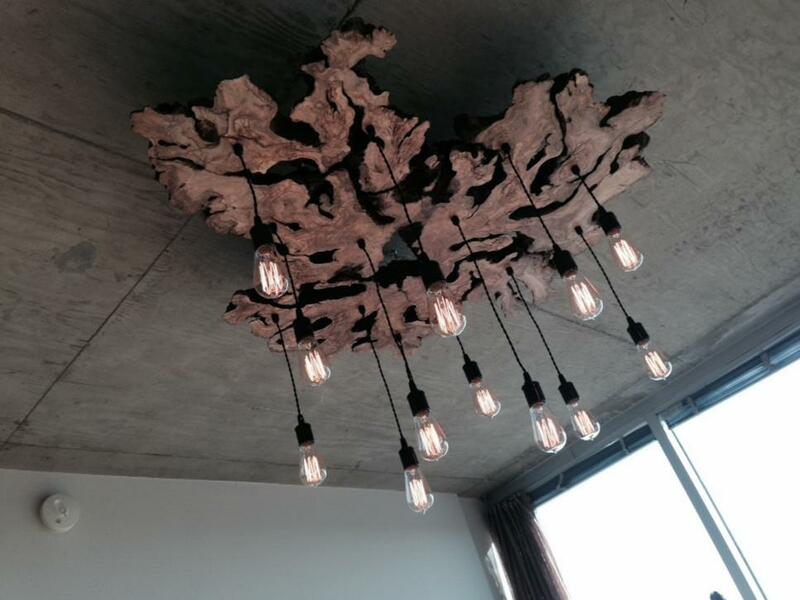 7M Woodworking fosters a combination of vintage, modern, industrial and natural styles while maintaining functionality. 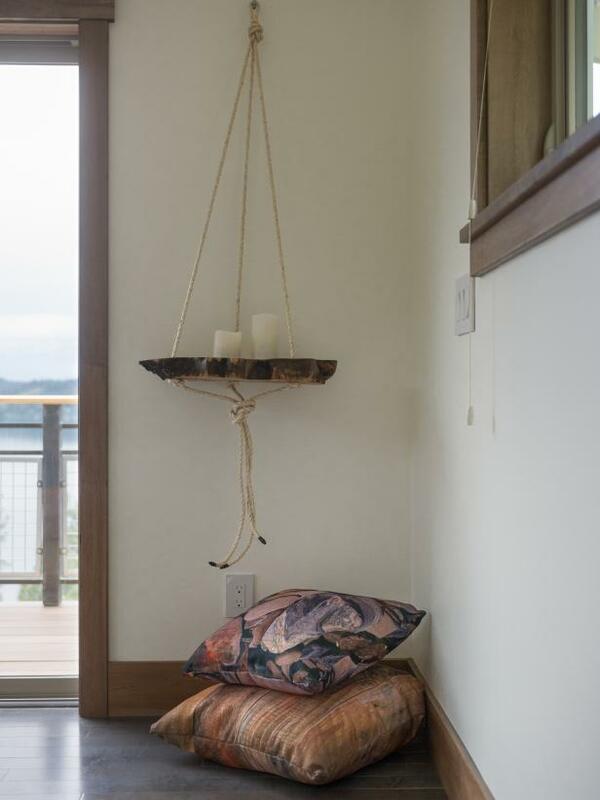 Paul Miller's unique hanging shelf, featured in the Zen loft of DIY Network's Blog Cabin 2015, was crafted from braided hemp and a slice of live edge olive wood. Working with metal gives artist Clark Martinek the power to harness some of the oldest art techniques known to man. In search of new and different ways to work with metal, he met a master blacksmith and it was then that he found blacksmithing was an aspect of iron that would change his life forever. 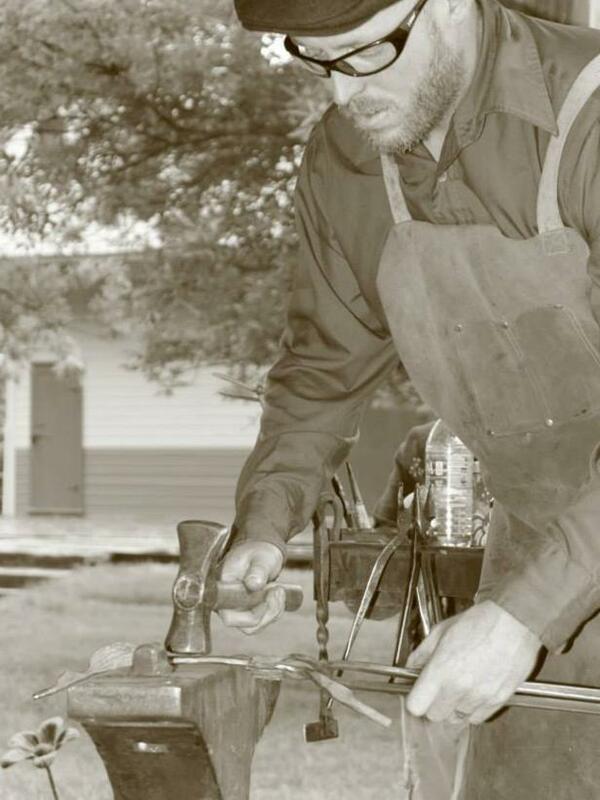 Clark is currently a full time artisan blacksmith and has been working with metal in various ways for 19 years. For the last 10, he has worked side by side his lovely wife Charola to build and run their successful iron art company, Tough and Twisted. 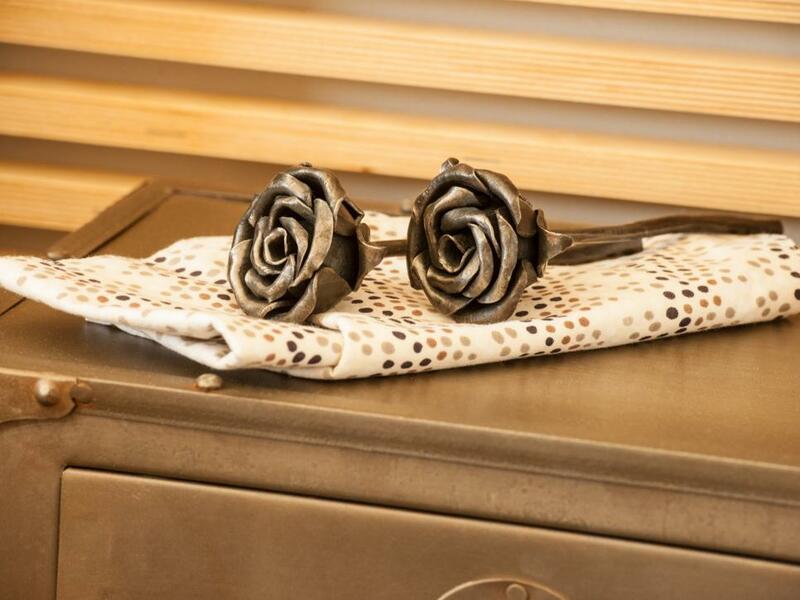 Clark Martinek hand-forged recycled iron to create these striking roses featured in the master bedroom of DIY Network's Blog Cabin 2015. 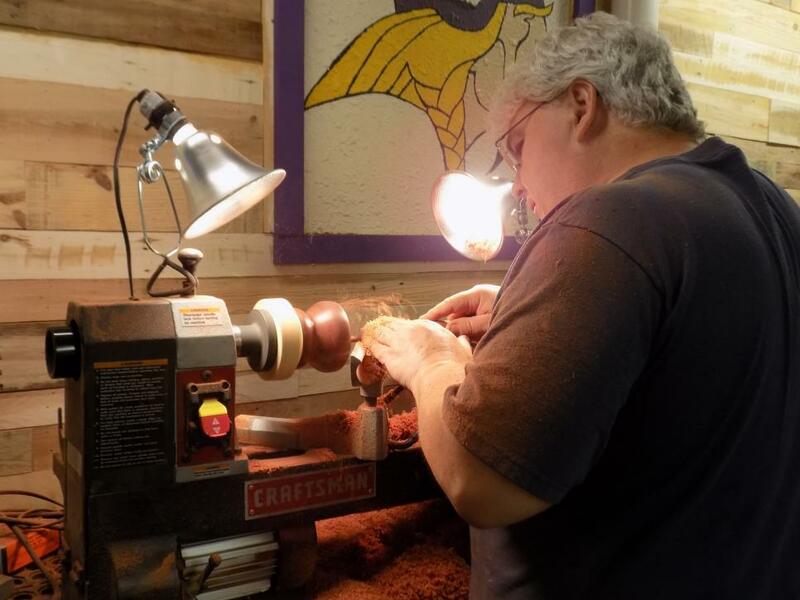 Backyard Sawdust storeowner, Melvin Faris started working in the construction trade at a very young age and has always had a passion for wood. A few years ago he took up woodturning and it has quickly turned into a growing family business. He gets the most satisfaction from reclaiming a piece of locally grown wood destined for the bonfire or garbage and turning it into a beautiful work of art that is as functional as it is beautiful. 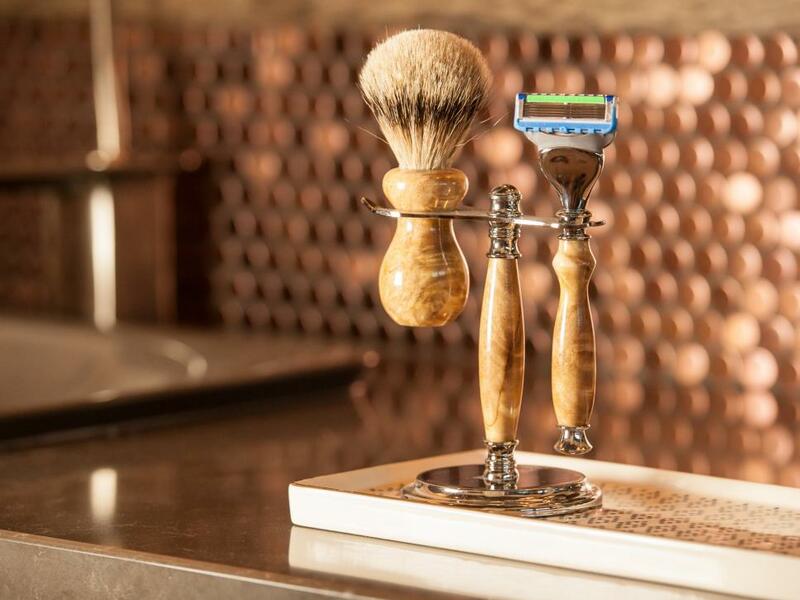 Craftsman Melvin Faris shaped this glossy cottonwood brush, razor and stand for use in the master bathroom of DIY Network's Blog Cabin 2015. Originally from Canada, artist Brian Western learned the nuts and bolts of stained glass art from his brother. But Brian’s designs are uniquely his, reflecting nature’s beauty through reclaimed amber beer bottles made into honeycomb jewelry or dancing-leaf mobiles. 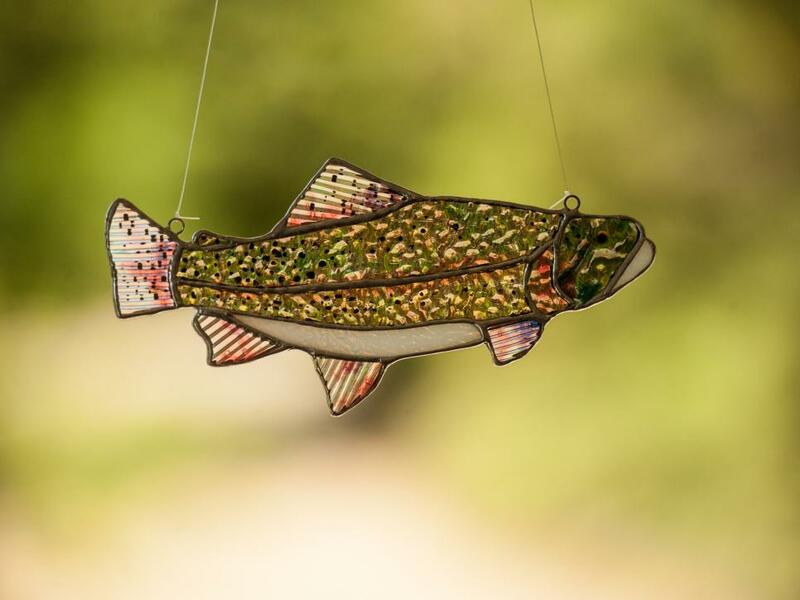 Brian’s specialty is custom designs made to order from his Etsy shop, Western Art Glass, for anyone from brides to entomologists (his beautiful fish, birds, bees, bugs, and insects are accurately depicted). It's jewelry for the home and, as Brian would say, "For your earlobes and clavicle." 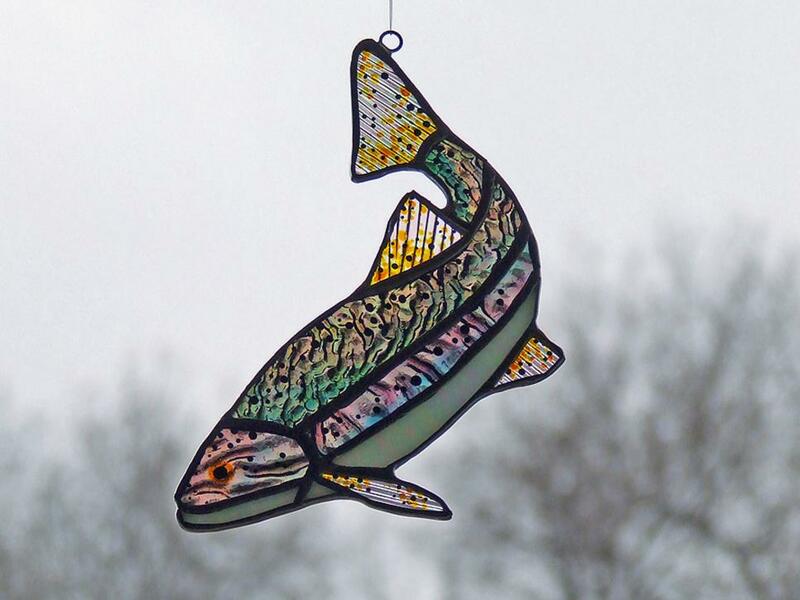 Brian Western's hand-painted stained glass cutthroat trout, made of Kokomo and Bullseye glass, hangs in the Zen loft of DIY Network's Blog Cabin 2015. 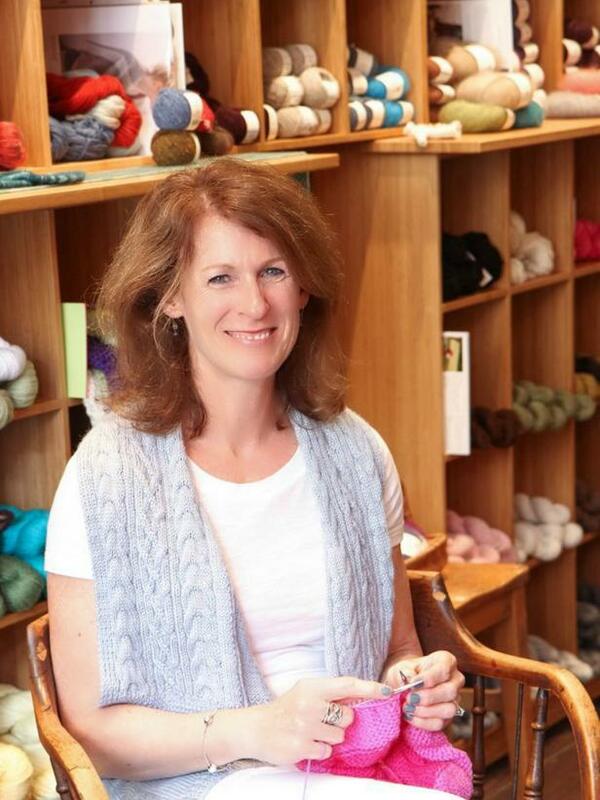 As a young girl, DebBee in Stitches owner Debbie Pugia watched her mother knit, however her passion for knitting only started four years ago when she picked up her first pair of needles and some wool yarn. Taught to knit by her sister, who had learned to knit from her mother, she creates custom garments out of quality yarn. Each item is unique and no two finished products are the same. 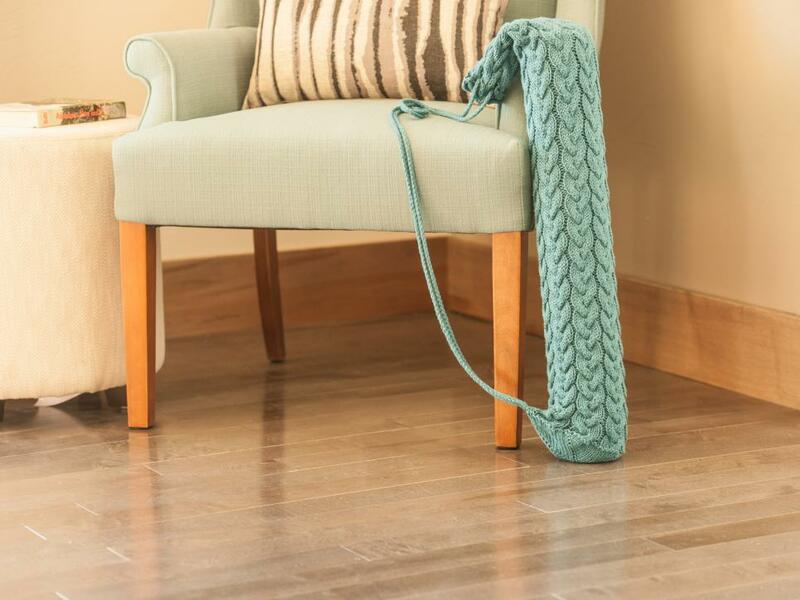 This machine-washable cotton yarn yoga mat bag was cable knit by Debbie Pugia and is featured outside the laundry room of DIY Network's Blog Cabin 2015. Artist Deb Pierce has always been a lover of all things natural, especially trees. However, she’s an accidental woodworker. She was drawn in by interesting pieces of timbers in her family’s sawmill scrap pile and also had a desire to create functional natural wood utensils for her own kitchen. The creative process of selecting just the right wood and finding the shape and grain through carving has now become a part of who she is completely in the products she makes and sells in her Etsy shop, Farm Timbers. 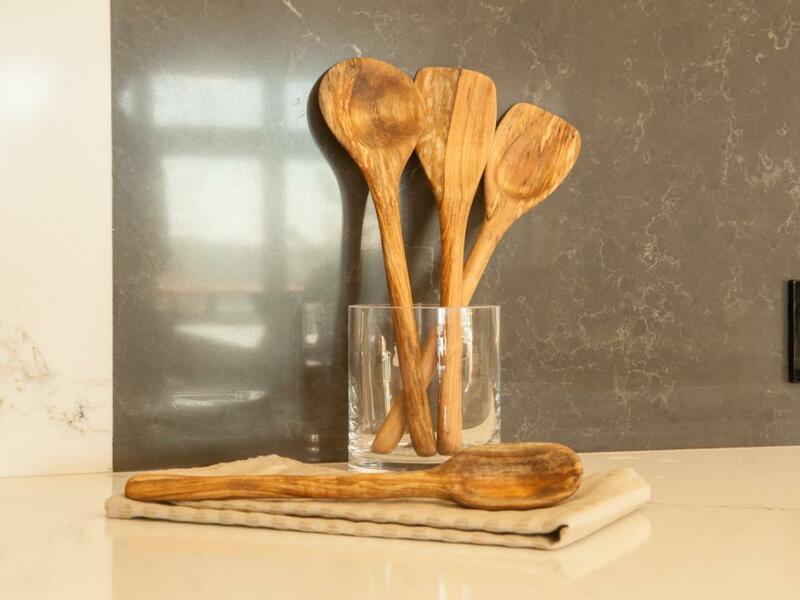 Deb Pierce's gorgeous hand-carved silver maple wood spoons are displayed in the kitchen of DIY Network's Blog Cabin 2015.